Now is the perfect time of year, before the growing season starts, to check for worn bedknives and ensure you're ahead of the game by choosing a high-quality replacement. 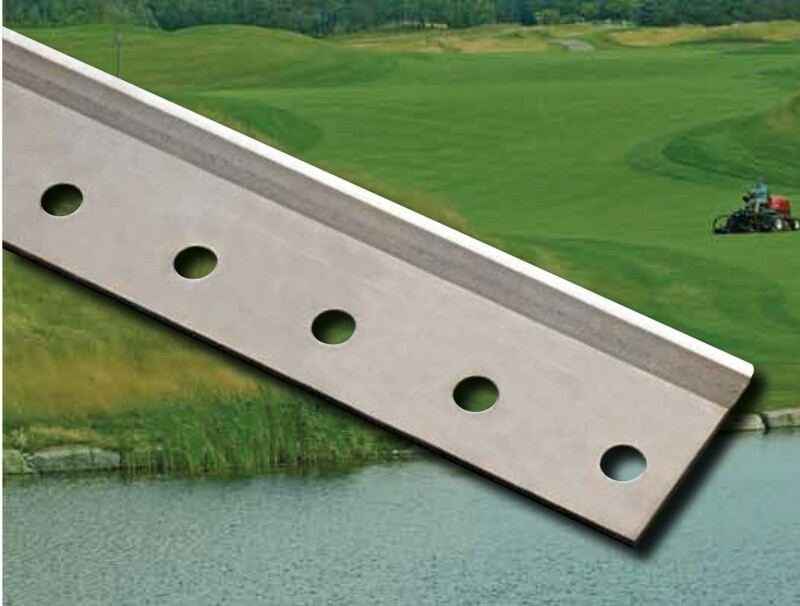 Brought to the UK by Reesink Turfcare, Toro's bedknives come with a host of benefits. Made of solid, hardened steel, Toro EdgeMax bedknives provide up to three times longer edge retention than a standard fairway bedknife and twice as long for greens. Michael Hampton, parts manager at Reesink, says: "With Toro EdgeMax bedknives you know you're getting the genuine, original part for a reasonable cost, which will ultimately save you more in the future." Replace your bedknives quickly and without the hassle or stress of gambling on will-fit competitors. Michael continues: "With genuine Toro parts, you can be sure you're getting first-rate parts built to fit perfectly with your machine, with consistent hole alignment on every bedknife, certified and trackable steels coils and computer-controlled machining and finishing, thanks to Toro's leading manufacturing process." Designed to meet strict Toro engineering specifications, the longer lasting bedknives don't sacrifice on quality and guarantee excellent after-cut appearance. Plus with the bedknives staying sharper for longer, the machine incurs less wear, enabling it to work more efficiently and smoothly, delivering a healthier turf. Available across Toro's Greensmaster and Reelmaster ranges on models fitted with DPA (Dual Precision Adjustment) cutting units, EdgeMax bedknives bring a 9.5mm and above height of cut to fairways and a 1.59mm and above height of cut to greens.